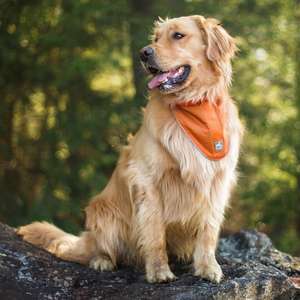 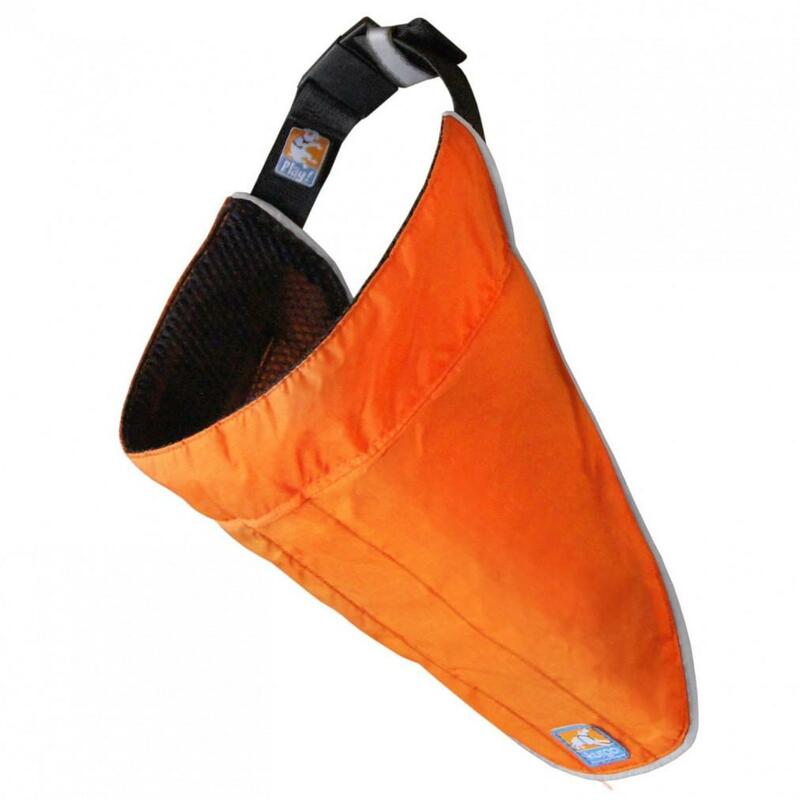 The Kurgo Reflect and Protect Dog Bandana is made from a bright, lightweight fabric with an LED light strip combination which helps your pup stand out on any occasion. 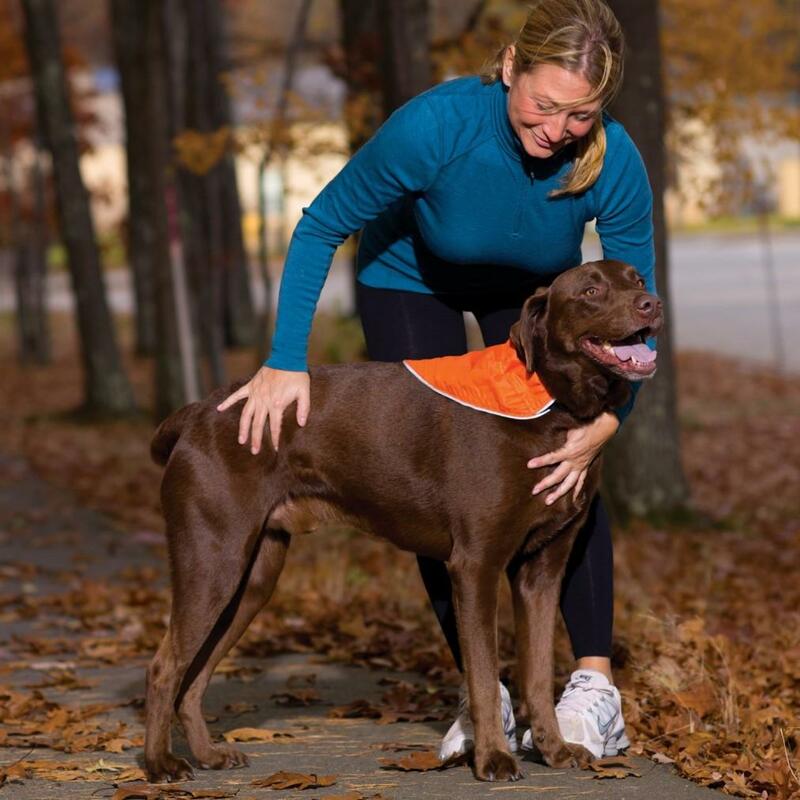 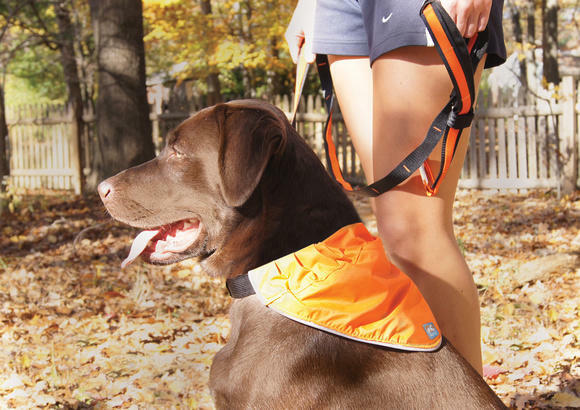 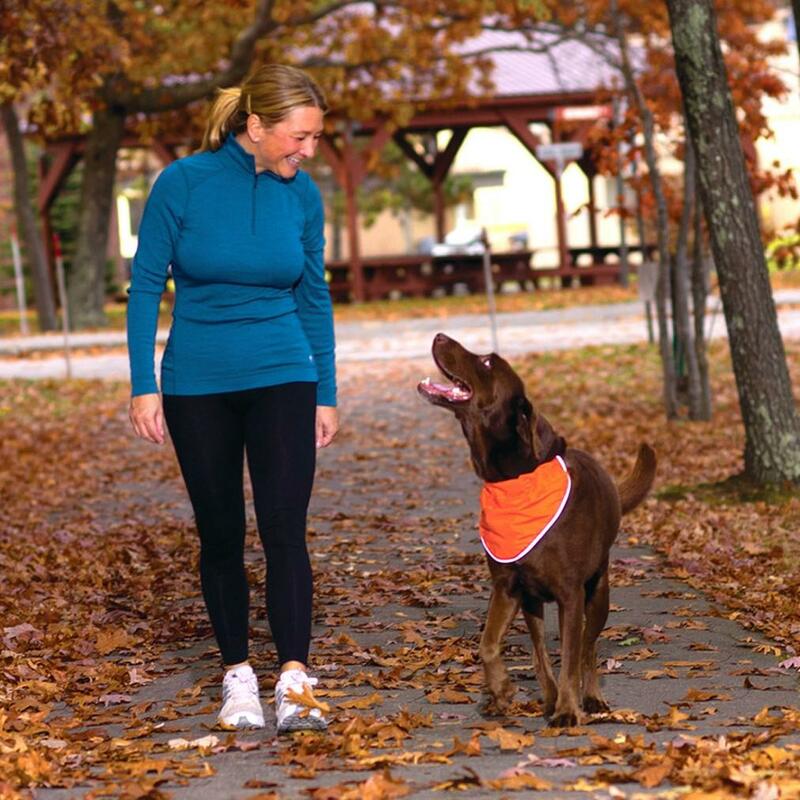 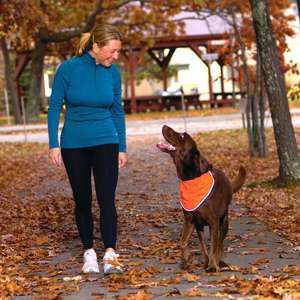 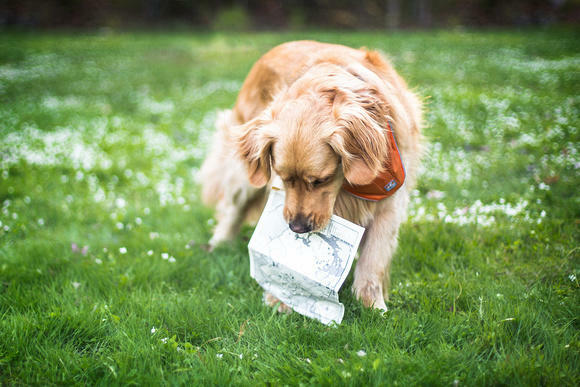 Especially good for outings with your dog that involve limited visibility, like romping through the woods or heading out for a night run together. 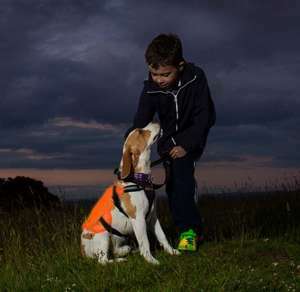 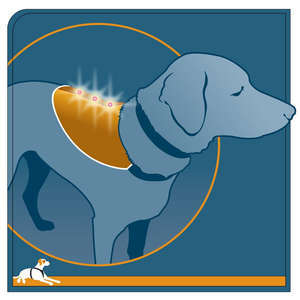 The elastic collar is a no fuss, easy to use, alternative to vests or jackets with the added benefit of both reflective fabric and LED lights in one for extra visibility. The LED lights are easy to turn on and off with just a squeeze of the fabric.